World-wide, multi-platinum-selling singer and actress Selena Gomez announced today that she will embark on a 56-city world tour in support of her highly anticipated summer album. The tour will begin August 14 in Vancouver, BC, and will hit major U.S. markets including Los Angeles, Chicago and Boston and more (see full listing below). Tickets for select cities of the tour will be available in a presale on April 17 at 10 a.m. local time and on sale to the general public on April 20 at Ticketmaster.com. VIP packages will also be available April 17 at 10 a.m. Check www.SelenaGomez.com for exact details. Selena fans have been in a frenzy since she premiered the single “Come & Get It” from her forthcoming album and made her debut television performance of the song last night live on the 2013 MTV Movie Awards. The single is available now everywhere. Selena’s upcoming TV blitz will also include an April 16 appearance as a guest and performer on Ellen and a performance on Dancing With The Stars that night, as well as an April 24 appearance on The Late Show with David Letterman. She is also creating buzz this month as she adorns the April cover of Harper’s Bazaar. 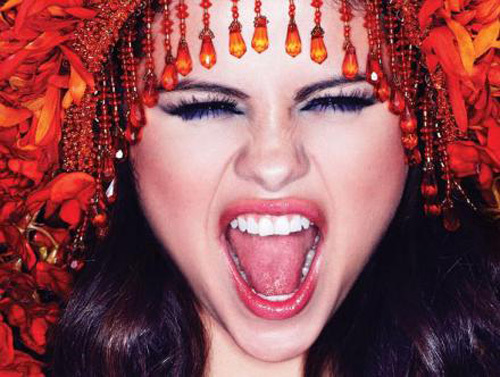 Selena has also been nominated for and will perform at the Radio Disney Music Awards on April 27.